If you dream of making a good living working with the land, producing healthy food and generally making the world a better place, then come and join the conversation. 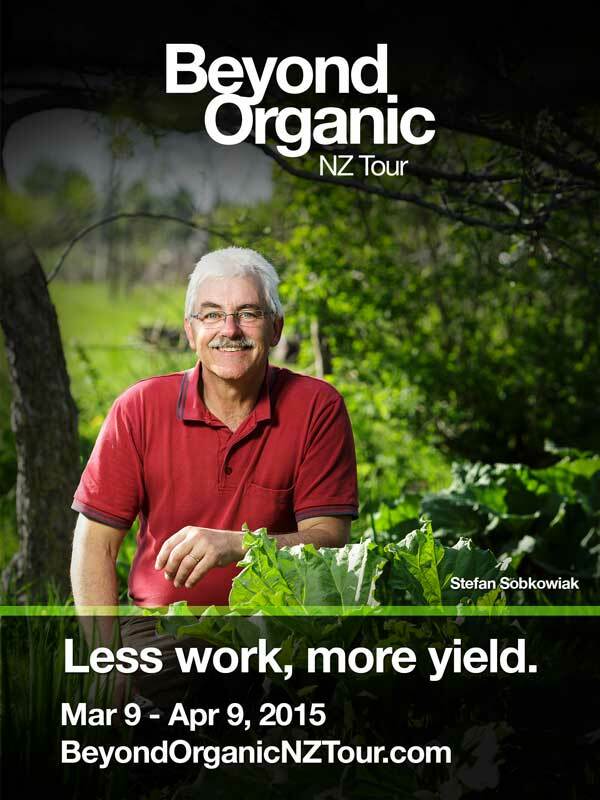 Stefan Sobkowiak (see the Permaculture Orchard Film) arrives in just under 9 weeks. We’ll start with a Waiheke workshop on March 12th & 13th, then a few days later at a public meeting in the Matakana Village Hall, we’ll welcome him to Aotearoa. 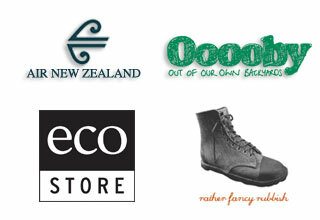 This will mark the beginning of a four week Beyond Organic NZ Tour that will end in Central Otago. Stefan: Just finished the last presentation in 2014 Euro Tour. The last event was an all day course in Nancy, France starting with an introduction to permaculture, followed by the permaculture orchard model and finishing with an in depth question and answer period. Because of bureaucratic rules they had to refuse 12 people who wanted to come. Great trip, great interest in the ideas of the permaculture orchard in France and Switzerland. This entry was posted in Articles, Tour news. Stefan raises the bar again, and offers some key financial insights. He describes simple techniques for making a healthy living working with the land, increasing yields and eco-system health while reducing work. Stefan is in New Zealand for an entire month from Mar 9th next year (2015). This Permaculture Voices podcast shows what happens when you bring Biology, Landscape Design and a deep understanding of Permaculture to orchard design and development. Stefan Sobkowiak of Miracle Farms joins Diego and talks about Stefan’s journey, that began by purchasing an industrial-style commercial apple orchard and converting it to organics. He realized that something still wasn’t right, something was still missing. The system was lacking the biodiversity that you see in nature. 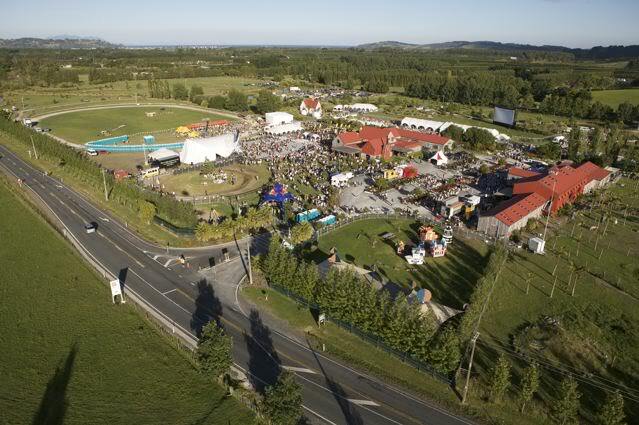 Update (Jan 10): The Matakana event has moved into the Matakana Village Hall, in order to have undisturbed space over a longer day. This two hour interview makes for an important addition to the knowledge shared in the Permaculture Orchard film. In it Stefan talks about the next piece of the puzzle, soon to be released from Miracle Farm. The podcast which has just come online, would have gone longer if Stefan hadn’t excused himself to join a scheduled conversation with John Allan of APW and myself. We needed to talk about the Masterclass Stefan will be leading at Unitec Auckland next year, as part of the Beyond Organic NZ Tour. For New Zealanders the survivalist concepts that are promoted in the lead-in may seem foreign, and you can of course skip them and jump to 8m:40sec, or you may wind up asking, what’s happening in the USA? There will always be a multitude of responses to the increasing uncertainty and rapid change that is underway across the world – as we each experience it. [thank you Chris for your thoughtful reply to my choice of words here]. Now, onto the 2-hour interview with Stefan Sobkowiak and Jack Spirko on The Survival Podcast. Up front we hear about Stefan’s background and having a Masters degree in both Biology and Landscape design, before learning what got him inspired to set up a Permaculture Orchard. We find a man with a deep desire to maximise the positive impact he can have on the world around him, and as the minutes turn into hours, we start to appreciate the gifts he’s offering. This entry was posted in podcast, Tour news. Stefan Sobkowiak is in New Zealand for a month from Mar 10th. We are planning public talks, workshops, masterclasses and more, throughout the country. 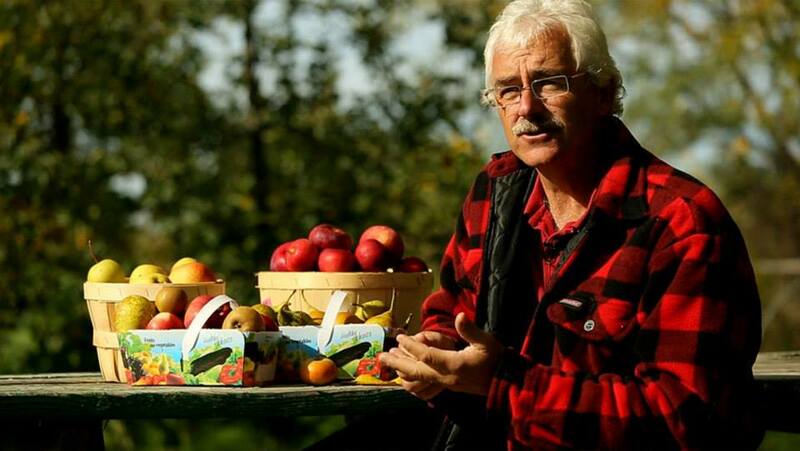 Stefan will be sharing from his many years experience of establishing a commercial Permaculture Orchard.